Swirl water between two soda bottles, to make a whirlpool between them. Use as an analogy for gas clouds swirling around a black hole. Drill out the centre of the caps, then hot glue them together face to face, without sealing over the hole. More hot glue and duct tape will be needed to minimize leaks from the bottles during the activity. Have a towel ready. Fill one of the bottles with water two thirds full. Add the optional floating bits. Add the tornado connector, or the home-made connector, before screwing on the other bottle. 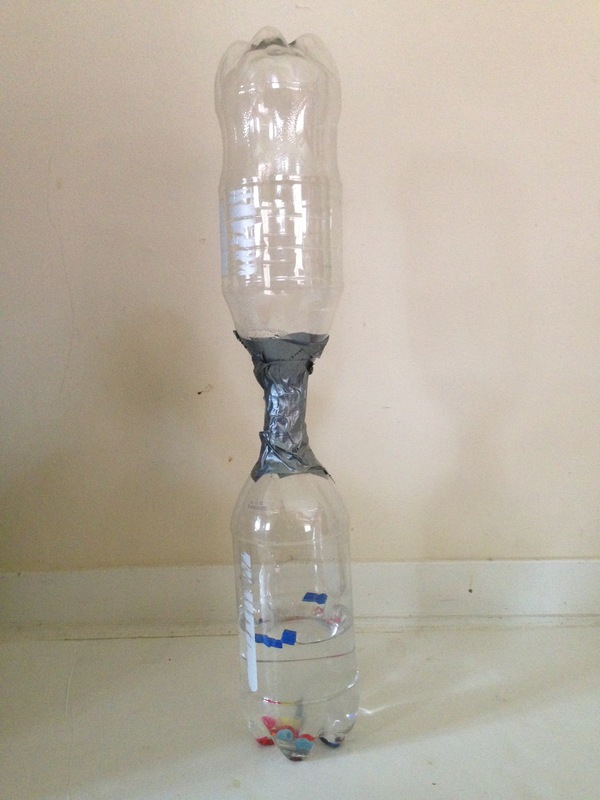 Turn the bottles upside down so that the water is in the upper bottle, hold the bottles tightly at the join and rotate in a large circle to initiate a tornado of water down into the lower bottle. 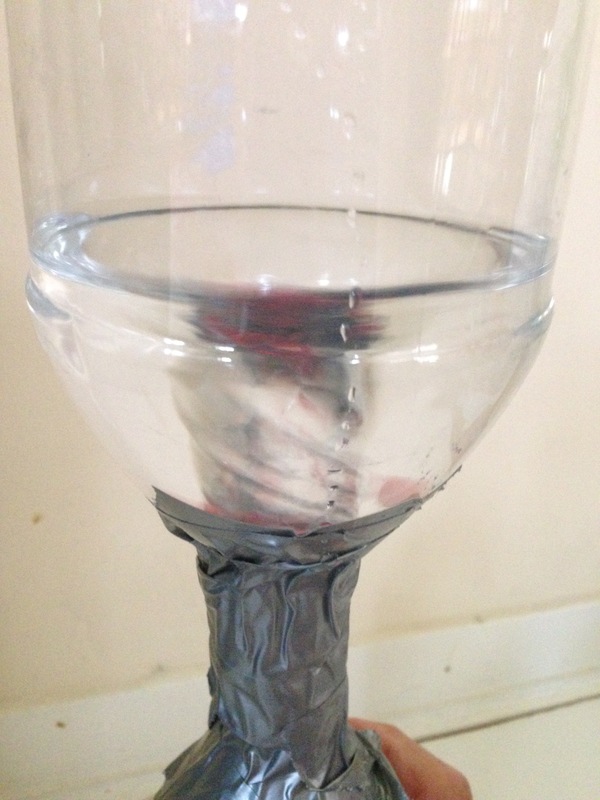 The floating bits will help visualize the rotation of the water through the tornado. 1. Black hole accretion discs: the cloud of gas and dust swirling around a black hole form a spinning "accretion disc". Long streamers of gas are pulled into the black hole by gravity, travelling faster as they are pulled in. Although a black hole itself is not visible, the accretion disc around it is. 2. Tornadoes, hurricanes and waterspouts - although note that these swirl upwards not downwards. Home made version leaks a lot! Add a towel to hold join with.